Strongly coloured pastel pink flower. 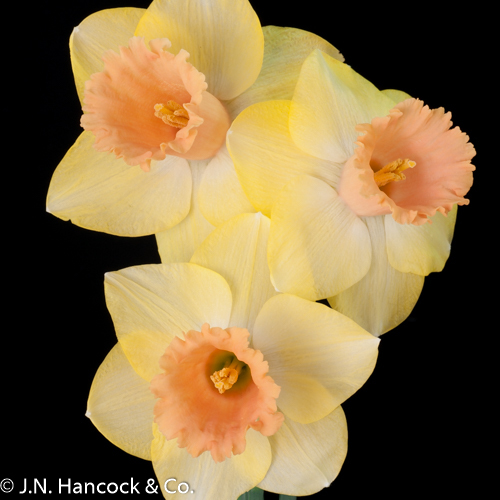 Smooth ace-shaped mid-yellow petals with a lightly ruffled cup of apricot-pink. Mid.